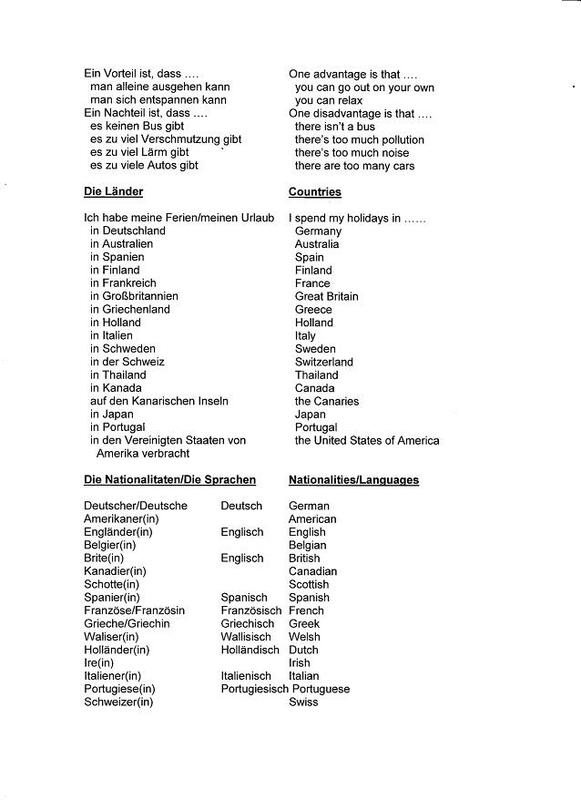 Here is the vocabulary sheet for unit 1 which you will need if you have lost your own copy. 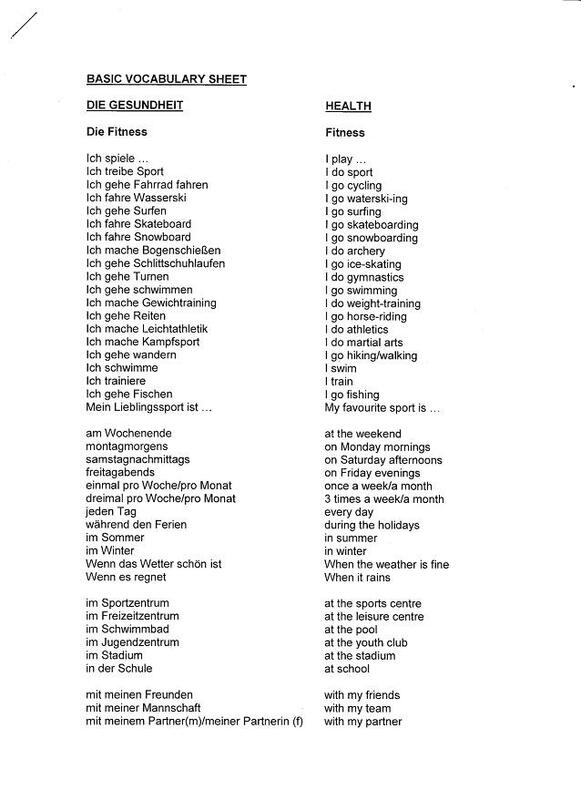 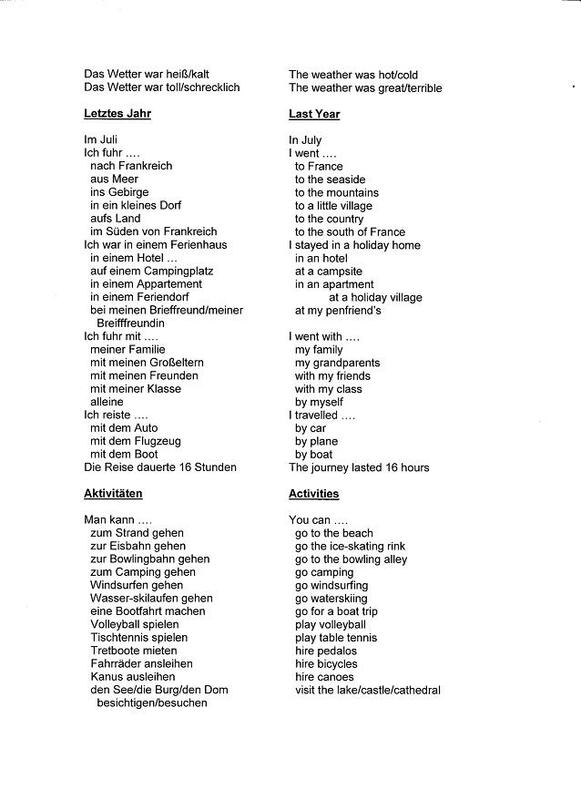 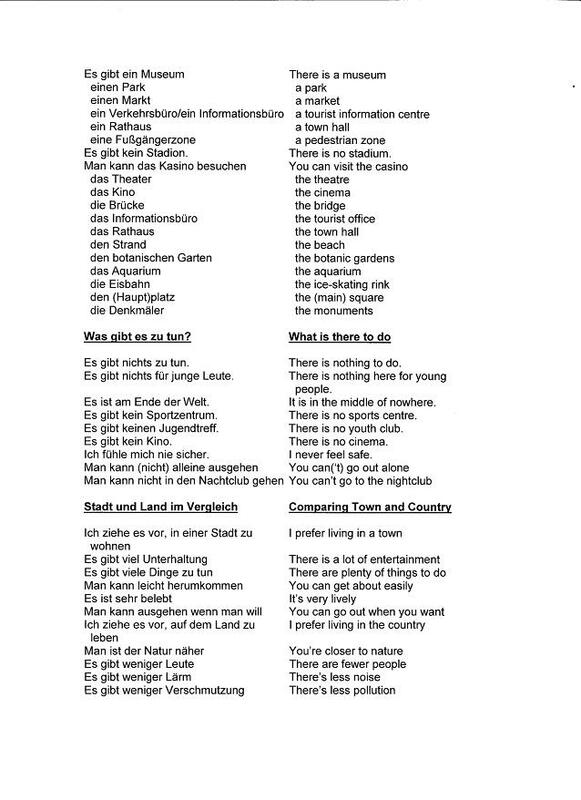 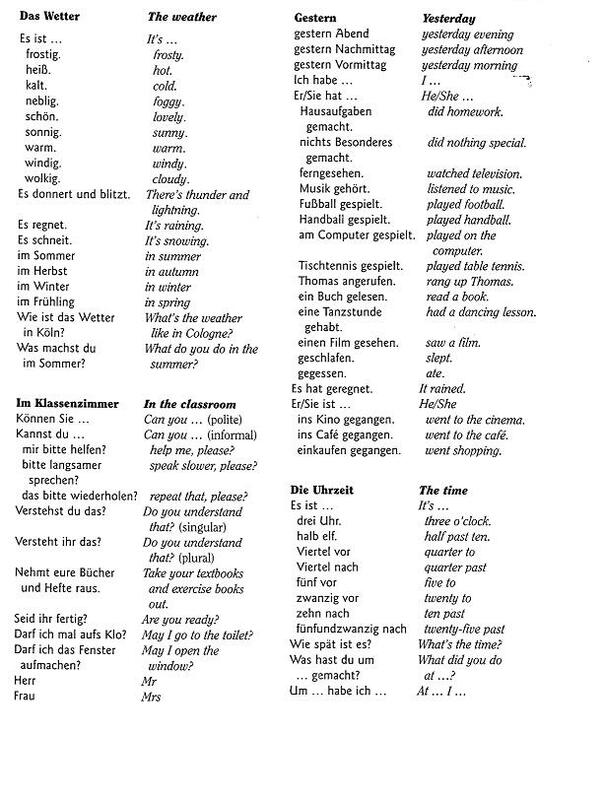 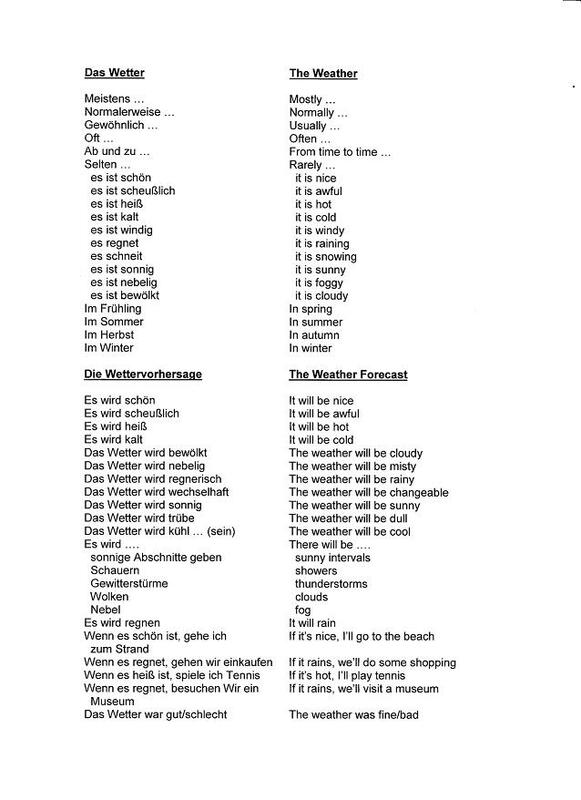 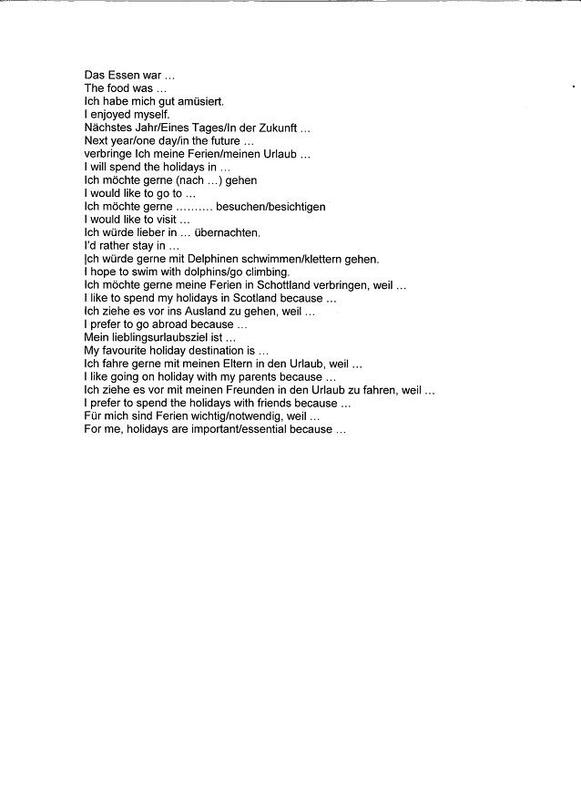 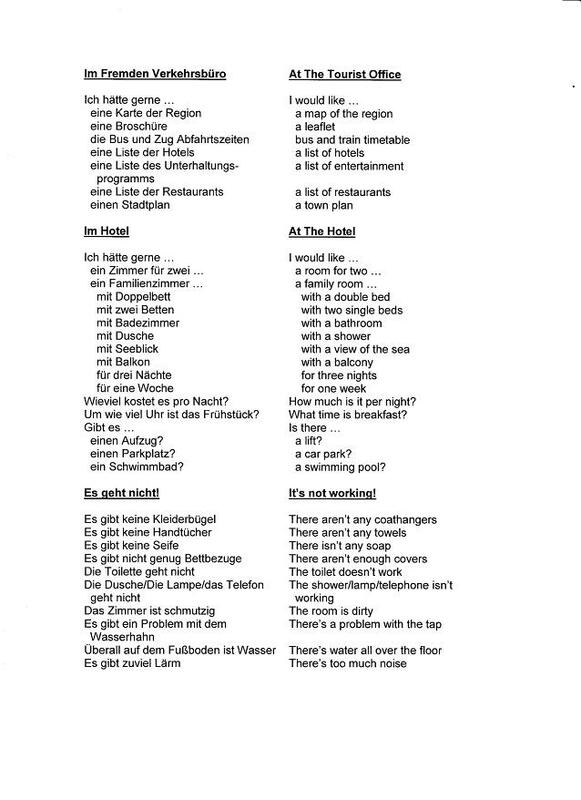 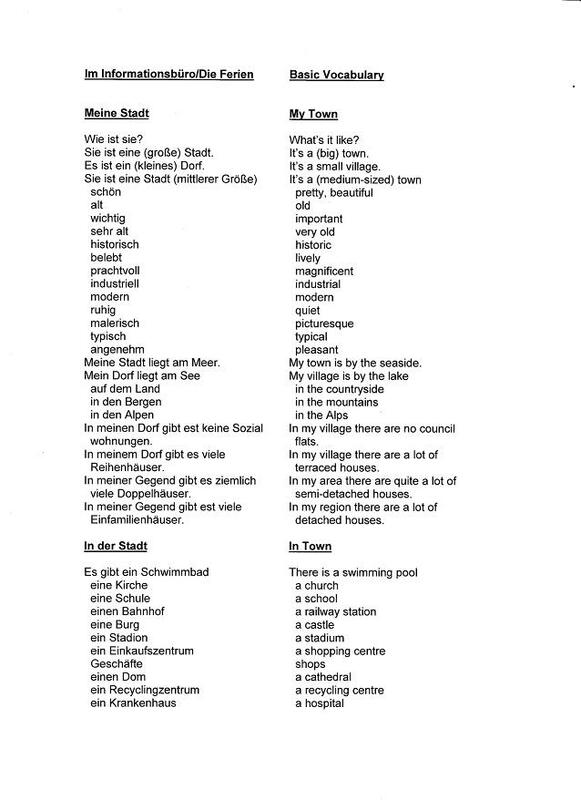 Here is a soft copy of the vocabulary booklet for the 2 units 'Die Ferien' and 'Meine Stadt'. 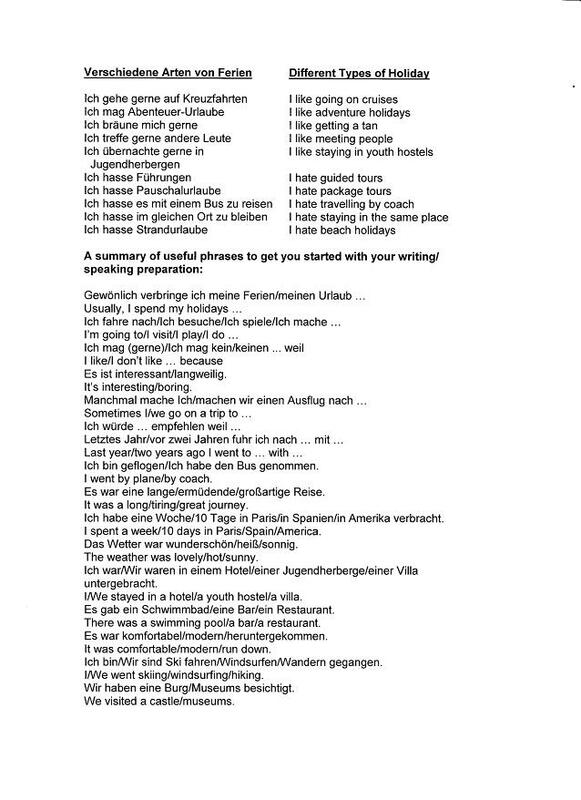 It should any of you who have not yet finished your holidays essay, and contains lots of ideas which will help you for your first speaking test. 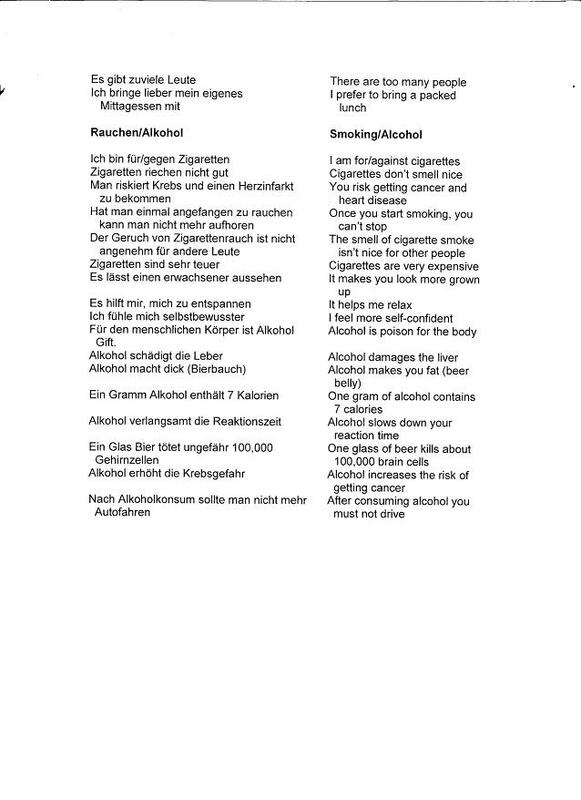 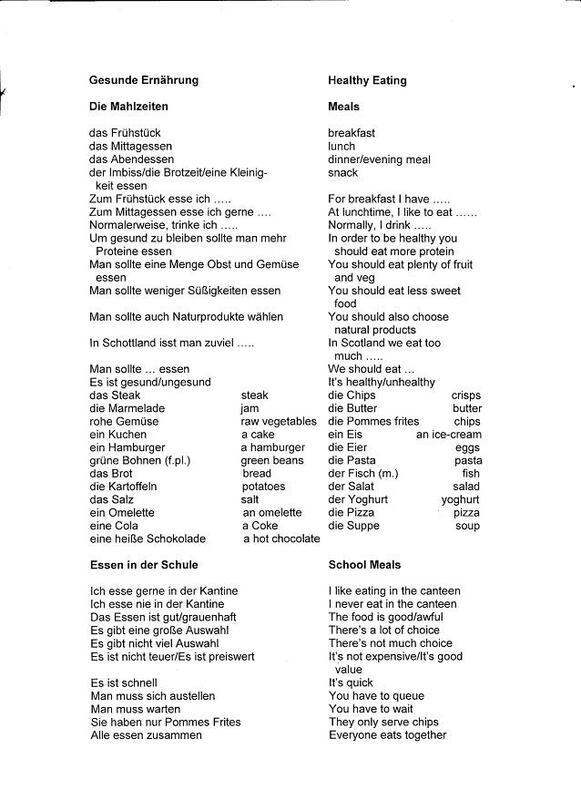 Here is a soft copy of the vocabulary booklet for the 'Die Gesundheit' unit. 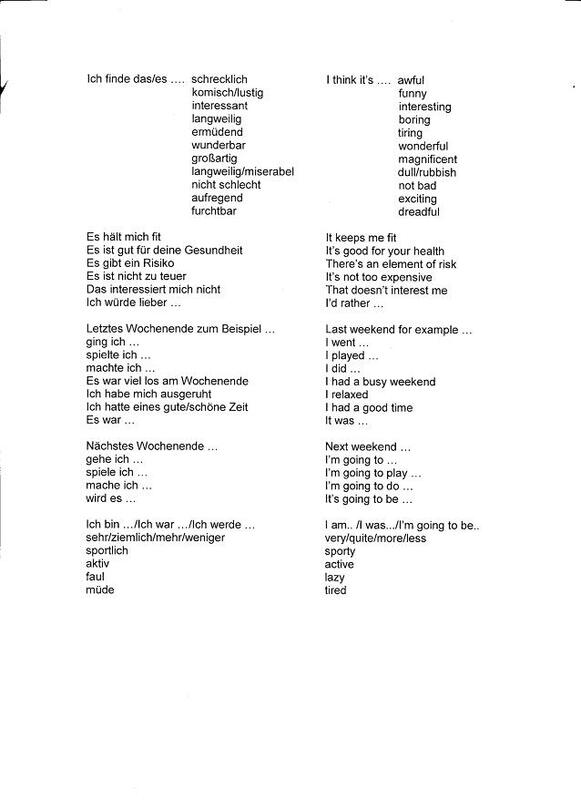 If you have lost your hard copy you can use this to help you write your folio piece.